No, it was model car kits. I remember at a young age going to the local grocery store and making a beeline to their hobby department downstairs. There I would look at a row of little 1:25 scale kit cars, processing in my 12-year mind which one my tuner fingers could modify. Yeah, I never built these cars to spec. I had a junkyard of older kit cars I would use as parts for my new ones. 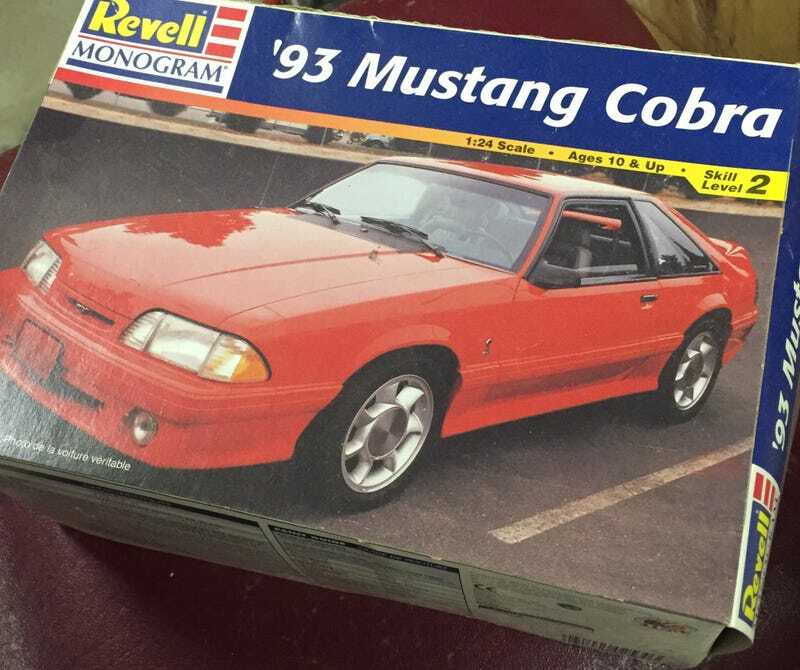 This 1993 Mustang Cobra was not going to stay stock for long. ...you hand carve a nitrous bottle giving this car all the horsepowers. But how in the world is this car even going to stay straight with my masterful 500 shot? Fitting on some fat tires and wheels that came off my junker Lamborghini Diablo of course. The car obviously handled well, as you can see it was a regular at Time Trial events. Did I even know what TT meant when I was 12? Probably not. Oh, and don’t worry, I eventually converted my junk yard cars into demolition derby beasts. Though, if I did this car today at the age of 31 I probably would have chose something different on the side.